Giant Jamboree registration now open! Deadlines approaching on June 30th and July 3rd! Two items are due June 30th: Project Descriptions should be posted on your team's wiki home page. We encourage all teams to begin working on your wiki now, documenting your work and continuously updating it throughout the summer. Safety Form Parts 1- 3 are due. The safety form is comprised of 5 parts, with parts 1-3 due June 30th. As Safety & Security is an important part of iGEM and a vital consideration in your work. We ask that you think about Safety & Security (as well as Human Practices) now, and throughout the course of your project. Thinking about forming team collaborations? We have updated the Medal Requirements this year to include team collaborations as a silver medal requirement. To help you connect with other teams, we’ve created a new collaboration page. This page allows you to share information about your project and find other teams to collaborate with. If you’d like to make a post, please email the relevant information to hq AT igem DOT org and we can post it for you! FREE DNA, cloning kit, & modeling software available to teams! iGEM is proud to partner with leaders in the field to offer your team free products and services to accelerate your work. Offers include: DNA synthesis from IDT, SureVector Next-Gen Cloning Kit from Agilent, and Modeling Software Kit from MathWorks. Make sure to visit our Special offer page for a complete list of offering and details. Be a part of the prestigious group of iGEM Judges. Evaluate projects, Get to know teams and go behind the scenes to determine winners. 2nd round applications close on June 30th. Spots are filling up quickly so apply today! 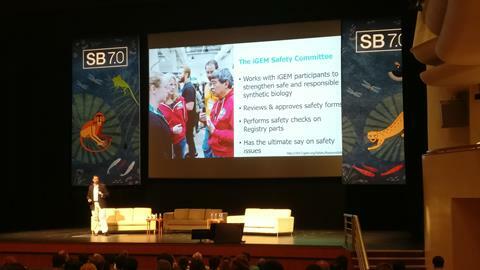 On June 13-16, iGEM attended SB7.0 in Singapore and presented in the "Sharing & Education" and "Security" sessions. iGEM participated in the speaking panel and hosted a booth. 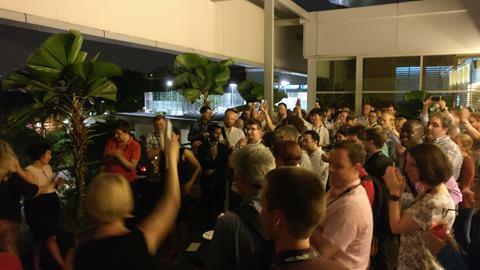 iGEM also co-hosted an 'After iGEM' reception with LEAP and the SB7.0 Biosecurity Fellows. 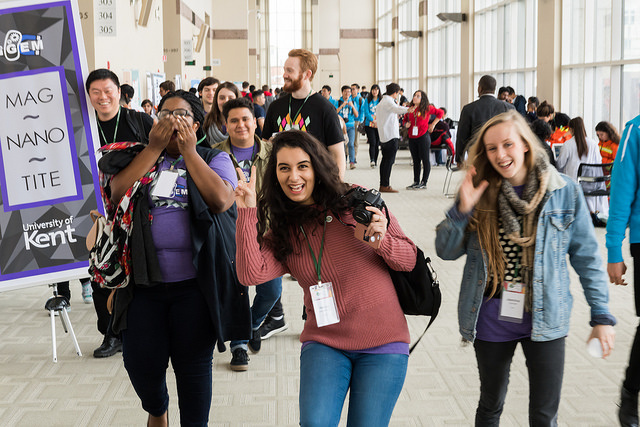 Event attendees included over 150 members of the iGEM community that were present at SB7.0. On June 20-23, iGEM will present at SEED (Synthetic Biology, Engineering, Evolution & Design) in Vancouver, Canada." Learn about iGEM's global outreach activities by visiting Beyond the Competition. There are over 12 meetups scheduled around the world! Visit the meet up page to learn more about the events: http://2017.igem.org/Community/Meetups. Know of a meet up that's not on our list? Email us the details and we'll help publicize it.